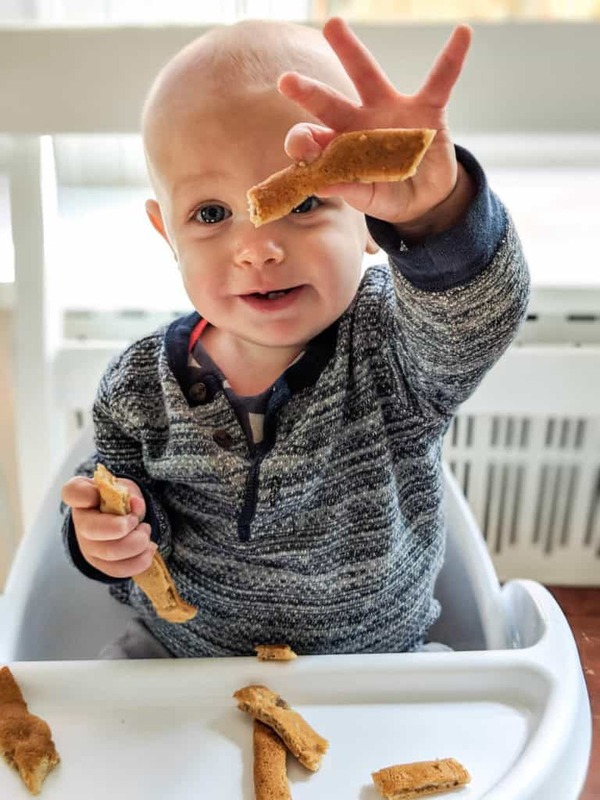 Interested in finding some great ideas for baby led weaning first foods? 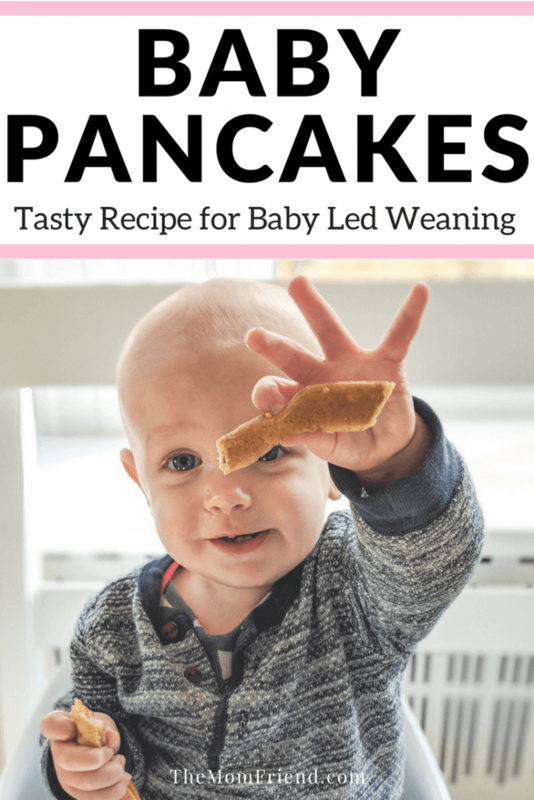 This easy and delicious recipe for baby pancakes is sure to be a favorite! Don’t call this a fluff piece! …Although you can certainly describe some of my pancakes that way. A few months ago, I feel like I had a “eureka” moment. Or maybe that was the sleep deprivation. Regardless, I was at the end of my ropes feeding a VERY active and independent 8-month-old who was eating me out of house and home. I was breastfeeding but starting at about 5 months, we began tempting the little one with tiny spoonfuls of fruit and veggie purees. Luckily, he took to that quickly. We stepped it up to steamed veggies like carrots and broccoli offered to him in a highchair. Little did I know, I was instituting what is now labeled as “Baby Led Weaning.” (Check that out when you can if you are unsure of where to go after breastfeeding). So I realized beyond the steamed vegetables, this little guy wanted FOOD. Actual adult human food that is not mushed into submission. 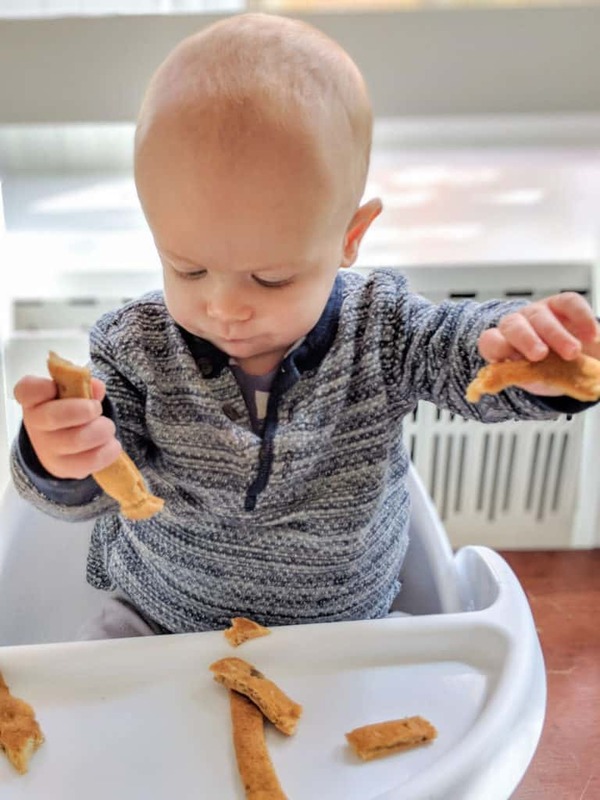 Here is the Eureka: I needed a solid food that was stable enough for my son to hold and feed himself, yet soft enough so I don’t stress out about him choking on every bite. I toyed with the idea of baked “loaf” of beans and veggies but waiting around to bake something was not realistic with our busy work schedules. Then… the vision of a golden crust and fluffy center of a pancake crept across my brain. It didn’t hurt that pancakes can be chock-full of nutritious food. It also didn’t hurt that I usually had a lot of purees lying around made from steamed apples, pears, sweet potatoes, carrots, and spinach. 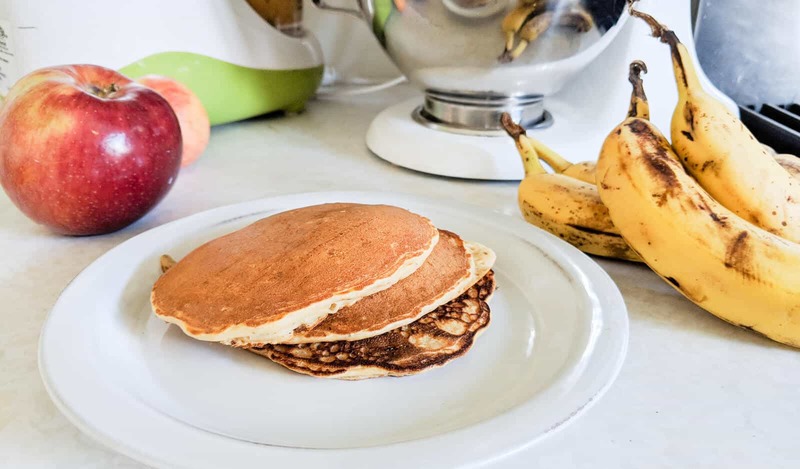 Here are the basics of making a decent pancake for a little tot! The foundation: 1 egg and 1 banana (medium and ripe to over ripe). Yep, that is it. The consistency is ultimately the best base to make the goodness happen. To the foundation, I normally add almond milk or any kind of milk or milk alternative, and, quite honestly, anything that I have steamed, cooked or lying around. Then you can include any of the following items. All are optional, but they should give your imagination a starting point. *Now testing this theory on some of my mom friends I realize that a.) Some babies are not eating eggs and /or b.) Some mommas are having problems with constipation. For situation a.) There are wonderful resources on the internet for egg substitutes. OR, simply do away with the egg altogether. A ripe banana has enough sugars to hold everything together with the right consistency. For situation b.) I have alternatively, done away with the banana and replaced it with another equally mushy vegetable such as steamed sweet potato or carrot. Check out the recipe below. This is one of my all-time go-tos and my son’s favorite! Mix everything by hand or in mixer! The key with pancakes is to stir just until everything is mixed. Try not to overmix. 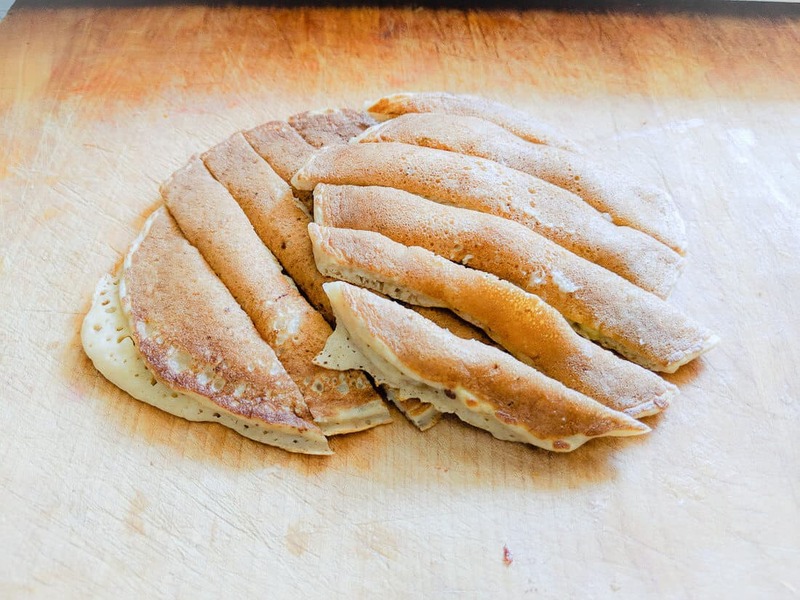 Prepare pancakes using a griddle or stovetop until cooked through. Because you may substitute purees with different textures, you may need to adjust your wet ingredients to dry ingredients ratio. As for serving, I usually cut these into strips for better handling in small little baby hands. Let cool and feed or store in the fridge. Squooshi Reusable Food Pouch. Storable (and RESUABLE!) squeeze containers with easy ziplock bottom. Food processor. Great for mixing pancake batter. I throw everything into an old Kitchenaid I have and mix on low speed. So mix up and enjoy! I hope your young one loves these babycakes as much as mine does. For me, they cut down time I spend in the kitchen (only making one big batch per week), offer a nutritious treat or meal to my baby, and (I believe) offer him the independence of eating on his own. Claire LaFrance is a mom to her first (human) child, 6-month-old son Cassidy, along with her dog, Ruffy, and cat, Roo. She is a non-profit professional working as communications director for an international animal welfare organization that rescues and rehabilitates animals all over the world. 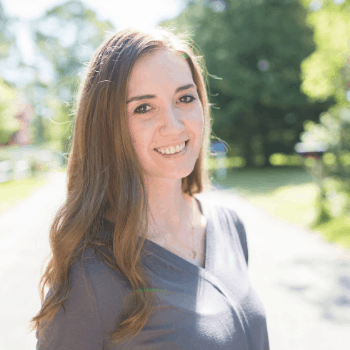 Claire is based out of Boston, Massachusetts and is a part-time writer, wanderlust traveler, amateur photographer, weekend gardener, avid volunteer and fitness hobbyist. See her other posts here.